Fron Dr Martens 'Made in England' range a great version of their unisex classic brogue pattern shoe - perfect for men and women. The unisex 3989 has quality, durable Quillion leather uppers with a perforated country brogue design wrapping across the toe and around the back of the heel. Fastening this beautifully designed mens and womens classic shoe are round, brown laces weaving through five pairs of ringeyelets. Inside, the unisex brogue shoe is leather and textile line with a padded insole for comfort. Completing Dr Martens traditional lace-up brogue shoe is their famous air cushioned sole with its slip, oil and fat resistance and Goodyear welting. Created at Dr Martens Cobbs Lane factory, the 'Made in England' collection is engineered and manufactured using a specilaized and traditional team of cutters, clickers and welters. 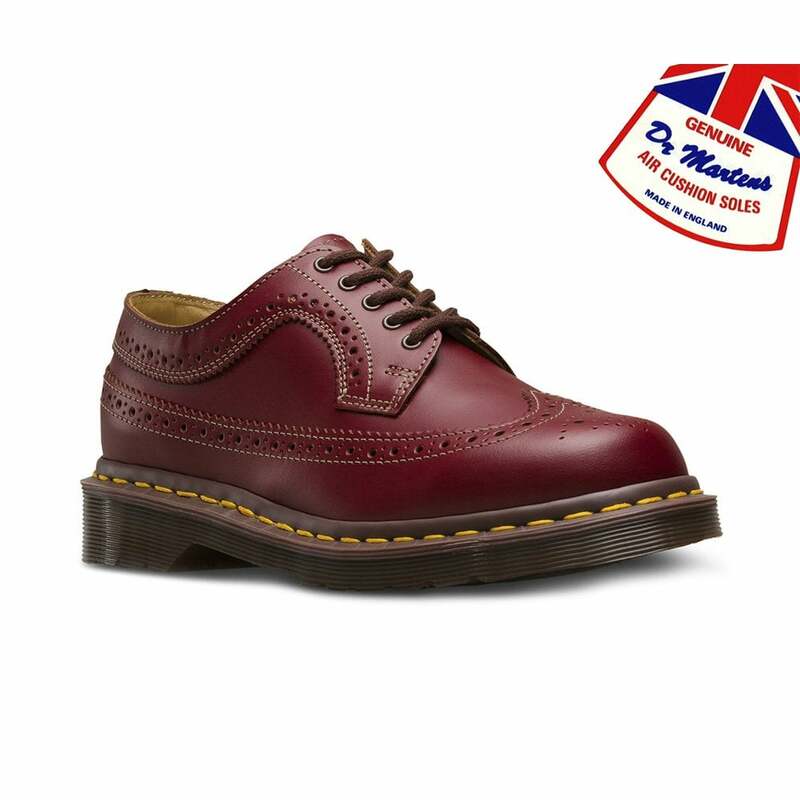 A perfect shoe for anyone who wants classic styling and comfort - get your pair of Dr Martens Made in England 3989 leather brogue shoes today!